I am truly loving this January release stamp set from Gina K. Designs. It is called Framescapes-Enchanted Forest. 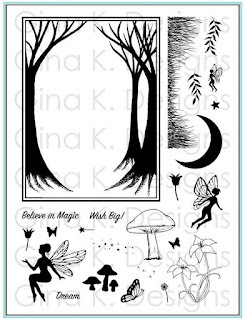 I posted a tag I made with it yesterday and because it is just such a sweet set, today I am sharing a card using these stamps. 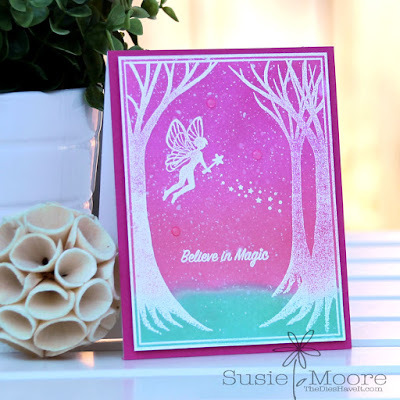 I used Distress Oxide inks for my background. I also white heat embossed the images. 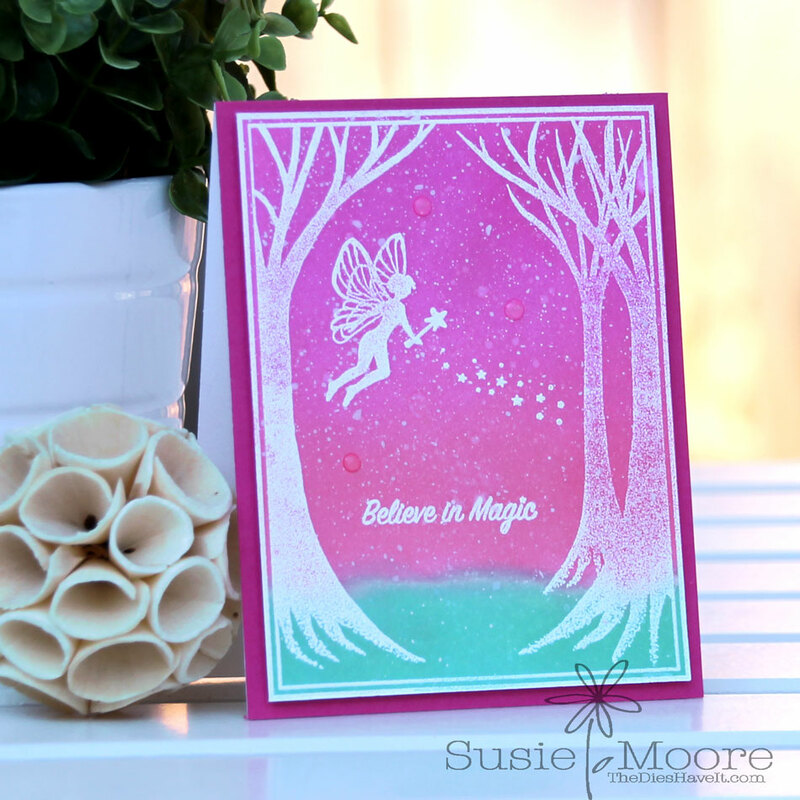 I just love the softness of this card! I'll be back again tomorrow and I hope I'll see you then.